Corrs Chambers Westgarth has launched a cybersecurity team to protect Australian firms amid the rise of widespread and high-profile cyberattacks across the globe. “Corrs Cyber” is the nation’s first multidisciplinary unit from a top law firm. It is made up of data-breach management specialists, including legal advisors, IT forensic investigation, cyber risk, incident response, and crisis and reputation management specialists. 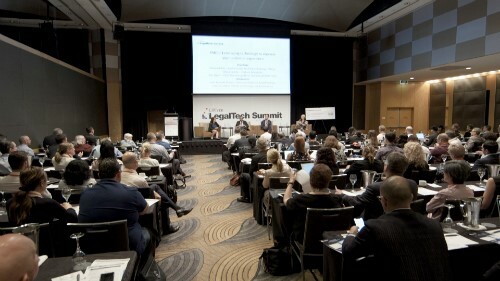 In particular, the law firm tapped the services of former Australian Federal Police digital forensics expert Phillip Magness, and white-hat hacker Georg Thomas. Magness has been appointed the national forensic technology manager, while Thomas was made national security and risk manager. “There’s no doubt that cyber incidents are now a fact of modern corporate life, but it’s how an organisation prepares for an incident and responds after a breach that is critical. It is evident from recent events that there is a clear need in the market for companies to be able to turn to experts who can assist them to respond in a strategic, coordinated, and informed manner. This can be the difference between business continuity and business failure,” said partner James Whittaker, who oversees Corrs Cyber. “[W]ith the launch of Corrs Cyber we are now offering clients a differentiated service that can help them capture and analyse data when a cyber incident is known or suspected, preserving vital evidence and investigating what information has been accessed,” Whittaker added. Corrs Cyber also includes partners from the firm’s offices across Australia, including Philip Catania, James North, Helen Clarke, Simon Johnson, Michael do Rozario, and David Yates. “The comprehensive team ensures that in the event of a cyber incident, such as a data breach, denial of service attack or ransomware incident, critical evidence is captured immediately while businesses also have access to resources to rapidly restore operational integrity. This includes finding the source of the breach, learning how it occurred, providing a legal response, managing and protecting the organisation’s reputation, and advising on what preventive steps need to be taken to minimise the risk of repeated instances,” the firm said. It has also partnered with external incident-response experts, including specialists in business systems and reputation management. This bolsters the firm’s long-established links with law firms from across the world, particularly in the US, and gives the firm the ability to act for cross-border clients who can quickly utilise the firm’s network in Australia in case of an attack. Corrs Cyber offers on-demand services at any time, as the new group even has a dedicated 24/7 hotline. In addition to this, the team also provides advice on how to prepare for breaches, which includes data protection audits, impact assessments, and the development and testing of response plans, including reporting, privilege, fraud, and external notifications preparation.